The Department of Social Protection say this is down to the public sector recruitment embargo. SINCE THE JOBBRIDGE programme began Dublin City Council has taken on 50 interns – none of which it has subsequently employed. In response to a query from TheJournal.ie, the Department of Social Protection has stated that anyone taking on a placement with the council would have done so voluntary and would have been aware of the recruitment moratorium in place. This began in the health service in 2007 and became ubiquitous across the public sector in the subsequent years as a response to the economic downturn. It was announced in Budget 2015 last October that recruitment is set to recommence from this year into various sectors of the public service. In response to these figures, Dublin Sinn Féin councillor, Emma Murphy has described herself as “shocked to discover” that no one had gained employment with Dublin City Council as a result of the internship programme. She went on to describe the scheme as “just a tool to manage the live register figures by the Department of Social Protection”. Real jobs and real opportunities must replace these schemes because as long as they remain in place jobseekers and our young people will continue to be exploited as companies replace real jobs. Of the 50, five have managed to secure employment elsewhere at the conclusion of their internship. 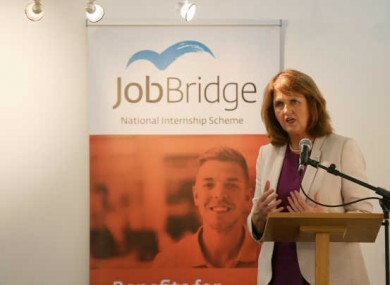 The Department has also said that the JobBridge programme with the council helps candidates “keep their skills relevant” as well as helping them to “access work in the private sector”. The programme is also defended from the point of view that candidates receive an additional €50 a week on top of their normal social welfare payments – a benefit in comparison with an unpaid internship. Poll: Is it time to scrap JobBridge? Email “Fifty Dublin City Council JobBridge interns not employed at the end of placement ”. Feedback on “Fifty Dublin City Council JobBridge interns not employed at the end of placement ”.